One thing that saddens me about bazaars is that they usually come and go. It's rare to find bazaars that come around for a long time these days, so having access to one, let alone a food bazaar, is what makes Sugbo Mercado the ultimate place for foodies like me. 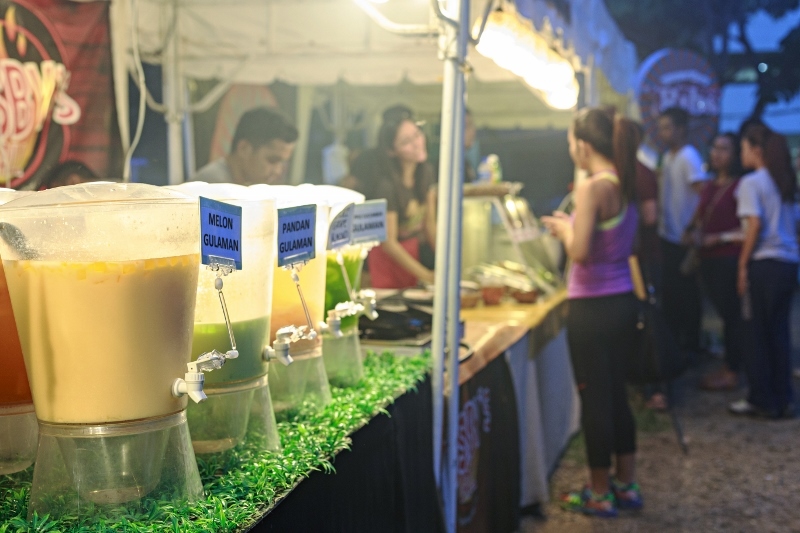 Sugbo Mercado is a popular weekend bazaar that kick-started in 2015.m at the Garden Bloc of Cebu IT Park. Starting with just 25 tenants, now Sugbo Mercado doubles its foot traffic as over 50 tenants now occupy the 2, 000 square meter space at the Garden Bloc. Workers, students and families flock from Thursdays to Saturdays just to enjoy the rustic and hip ambiance the food market brings. Welcomed with food of many varieties, hanging light bulb series, wooden tables and chairs and an acoustic band, it's a no brainer why it keeps one coming back for more. What makes it more enticing is the unique food selection as their tenants are start-up food businesses offering a diverse mix of local and foreign dishes. Personally, my favorites include Johnny Lemon, whose lemonade has the right kick of citrus that would be a great pair to my food. For dessert, Papa Churros is sure to please your taste buds with freshly fried churros topped with warm chocolate drizzle and a dash of cinnamon. For my main dish, I usually go to the sisig station and indulge myself with a sisig rice meal complete with meat, spices, and sunny side on top. To cap off the night, a little catching up with some friends would be nice or a little stroll around the stalls would be ideal, with some tenants selling non-food items such as succulents, accessories and clothes. And just before you decide to leave, replenish your soul and vibe in to good music as local artists serenade you through the starry night. Nothing beats a happy tummy after all in a week's work.